The holidays are almost upon us, and many people are considering the decision to sell gift cards in preparation. If you’re like most of these people, you have a handful of unused Starbucks, Applebee’s, or Target gift cards gracing your junk drawer, and you’ve been wondering what to do with them for a while. Fortunately, trading gift cards for cash using an online re-selling agent is simple, and there are dozens of great reasons to take the plunge before the holidays arrive. From putting extra cash in your pocket to cleaning out the clutter, these reasons are more than enough to trade out your unwanted gift cards. The holidays can be expensive, and most people could use a little extra cash on hand. If you’re in this boat, selling gift cards might be the exact right move. While there are dozens of various ways to do this, the outcome is essentially the same for all of them: you swap your gift cards out for cash using a simple online platform. Once the trade is made, you receive an electronic deposit into your PayPal account, or get a check in the mail. Depending on the face value of your various gift cards, this approach can be more than enough to give you some extra spending money for the holidays, and may even cover all of the gifts you need to buy for your friends and family. Most of us have too much junk in our homes, and cutting down on the clutter can work wonders at decreasing stress levels and leading to a happier life. With this in mind, getting rid of unwanted or outdated gift cards is a great way to start the simplification process, and can go a long way toward making your home easier to clean and organize. If you’ve been collecting gift cards for a while (and they’ve been building up in the junk drawer in the kitchen the entire time), take a moment to go through and clear them out. Once you’ve done this, find a place to sell them or trade them for one large card you’d actually use. This cuts the clutter in your kitchen and also gives you some additional funds to spend on something you want or need. The holidays are almost here, and the last thing you want is Aunt Gladys wandering into your kitchen on Thanksgiving only to see the gift card she gave you last Christmas stagnating in a pile of old mail. Talk about a holiday disaster! To save yourself the stress and the embarrassment, take those gift cards from holidays-past and trade them in! In addition to helping you avoid hurting anyone’s feelings, this will also give your pocketbook a boost as we head into the holidays. The best part of all, though? Aunt Gladys doesn’t ever have to know you chose to trade the card in! Sometimes, the only thing that’s wrong with gift cards is that the retailer that issued them is not one that the customer likes to shop with. In these cases, it’s easy to sell the gift cards you don’t want, and put that money toward one (or ones) you do! Everyone wins when you take this approach. Even if you don’t need the cash from a gift card sale to buy gifts, it’s easy to take the money you make from selling your gift cards and put it toward gift cards for your kids or friends. 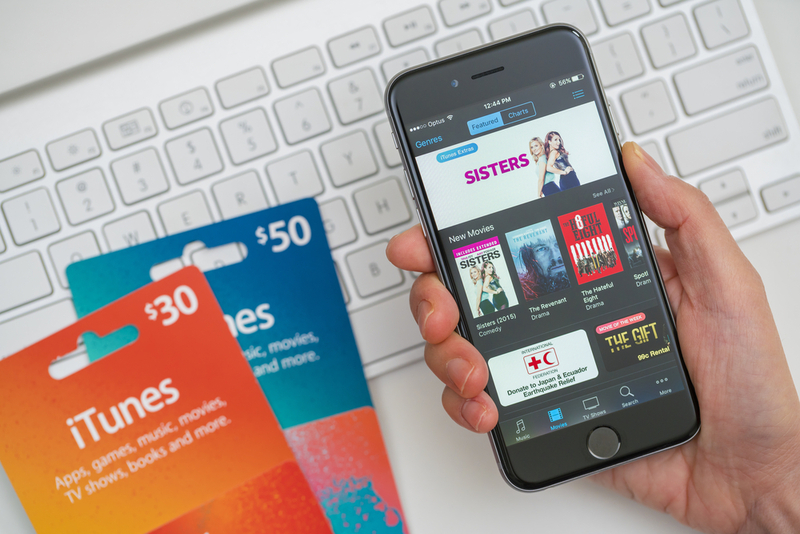 Whether you’re trading an Applebee’s card for an iTunes card or turning the funds from a Target card into a Toys ‘R’ Us card, there are many reasons to sell gift cards and make them into something new. Let’s face it – getting rid of stuff you don’t use is fun! And swapping out your unwanted gift cards is a great way to learn something new and get some usable cash in the process. Who knows? You may even become addicted to the process and turn into a lifelong devotee of selling gift cards before you know it! Even if you won’t ever use your card, there’s someone out there who will. Why not let them have the pleasure? Selling your cards allows you to share the love, and it’s an excellent way to get into the holiday spirit. While many people let their cards stagnate in some dark kitchen drawer, these seven reasons are more than compelling enough to let yours see the light of day once more!